I’m a great believer in writing verbal history down when possible. I always advise it when I hear family stories relating to a treasured object on the Antiques Roadshow – go home and write the story down. People forget, or stories get warped, and then it just becomes an ‘object’ that is devoid of context. Value is never just about the money. Value is a mult-faceted word. This occurred to me the other day when I spotted a ceramic vase at the Pilgrim’s Antiques Centre in Dorking. 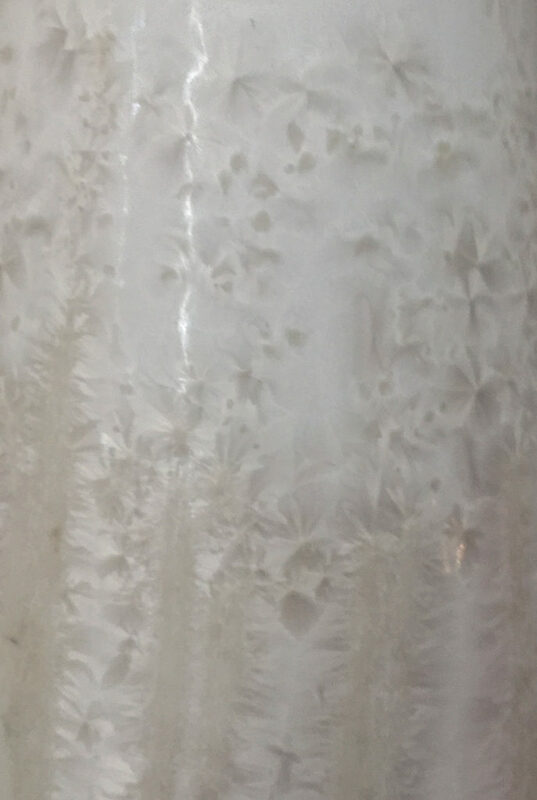 After my discovery of Otto Wichmann in Canada, I’m a fan of microcrystalline glazes and this vase tickled my fancy, particularly as it was also well-potted and bore a price tag of £30. I also didn’t recognise the mark on the base, and I do love a research project. When I went to pay, the lovely lady behind the desk explained that the seller had bought it from the daughter of the potter. My eyebrows popped up. “Oh, what was his or her name?” I asked “Felix Singer, he was a doctor” she said. My eyebrows dropped and my brow furrowed. A Sunday potter who worked out his stress on a potting wheel, maybe? 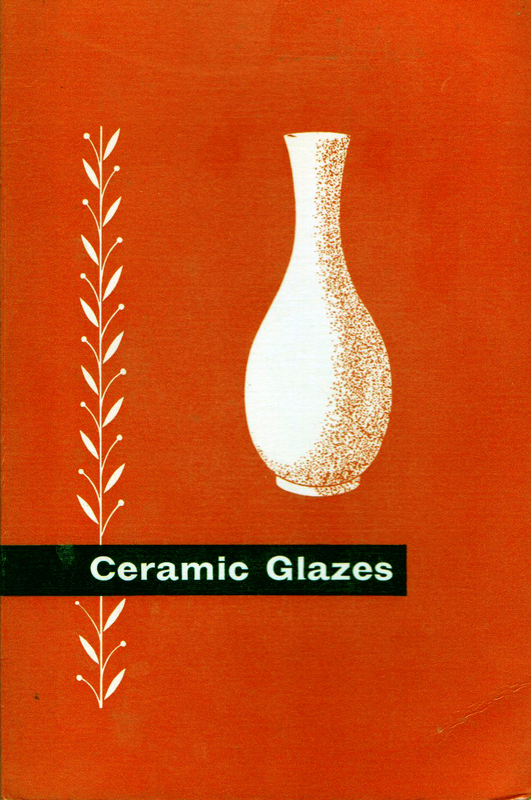 In 1960, he followed this up with the similarly technical ‘Ceramic Glazes’, which went on to be republished into the 1970s and beyond. This slight tome (with a lovely cover, shown here) covers glaze recipes, testing glazes, glaze defects, and details all sorts of glazes from vapour to opaque, crystalline, lustre, and leadless. The longevity of this book and my interest in West German ‘Fat Lava’ and studio ceramics of the mid-century modern period tells us that this was an important book at the time, due to the explosion in different glazes and glaze techniques then practised across the world. 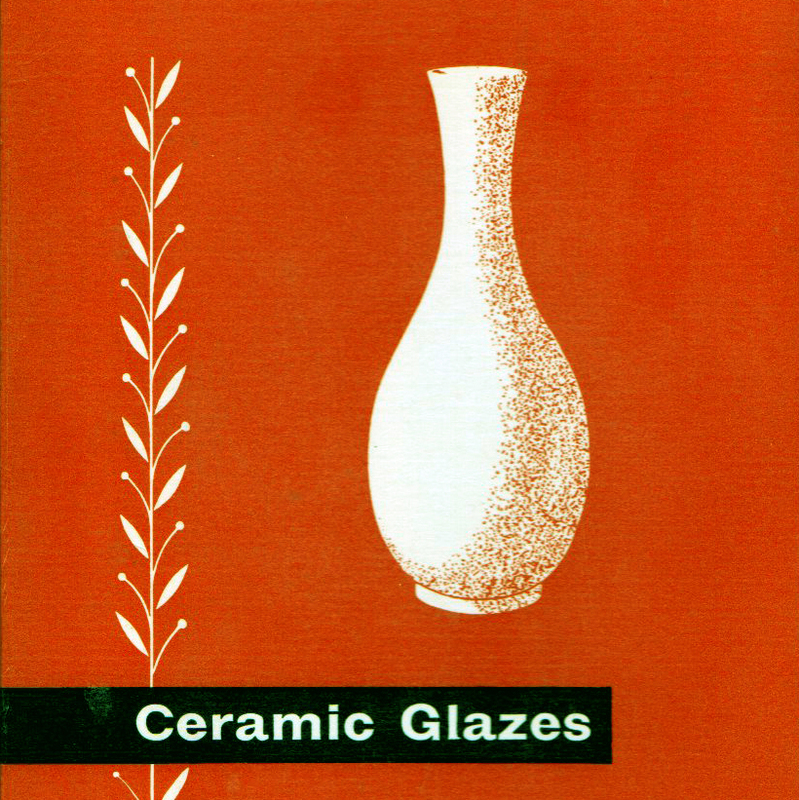 I wonder how many studio ceramicists such as Lucie Rie, Hans Coper, Emmanuel Cooper, and the Natzlers, and commercial glaze technicians at companies like Scheurich, Ruscha, Otto Keramik and the Vallauris potteries, must have read and been inspired and educated by this book. Probably all of them. And so here’s a glaze and ceramic by the man himself – the ‘chief glaze chemist’ and educator to so many of them, so to speak. And what a lovely, complex cream micro-crystalline glaze it is too. Clearly the man practised what he preached. 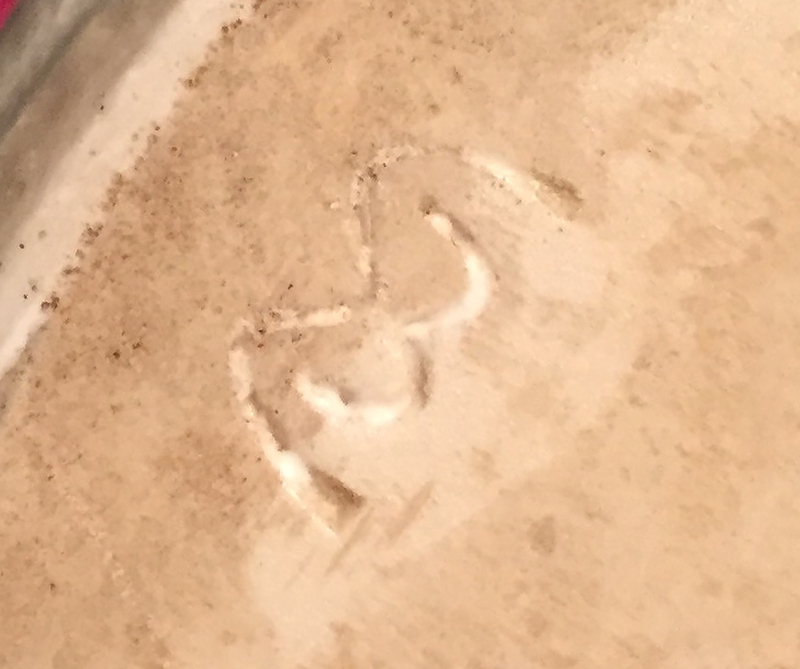 I mentioned the base is marked, with an impressed seal mark (left). 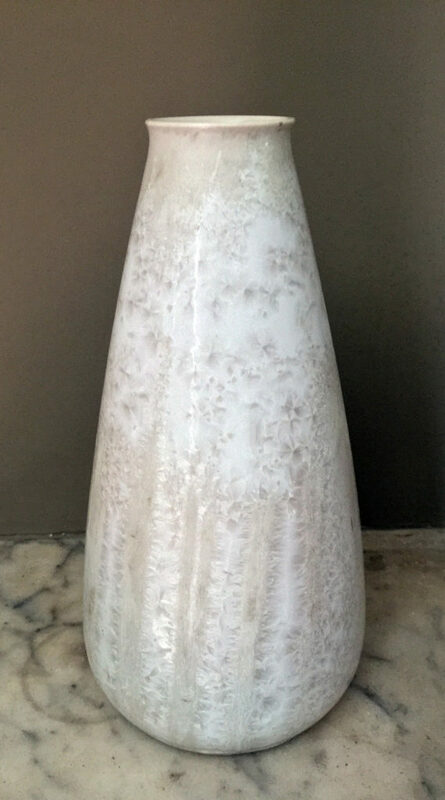 I’ve asked around and scoured Google for a reference, but I can’t find out which pottery it indicates. Or was it his own, perhaps? From a kiln in a garden shed to one in an academic laboratory? Maybe you know. Or maybe you know of other pieces by Dr Felix Singer. One has to presume that such landmark reference books as these required a great many experiments. 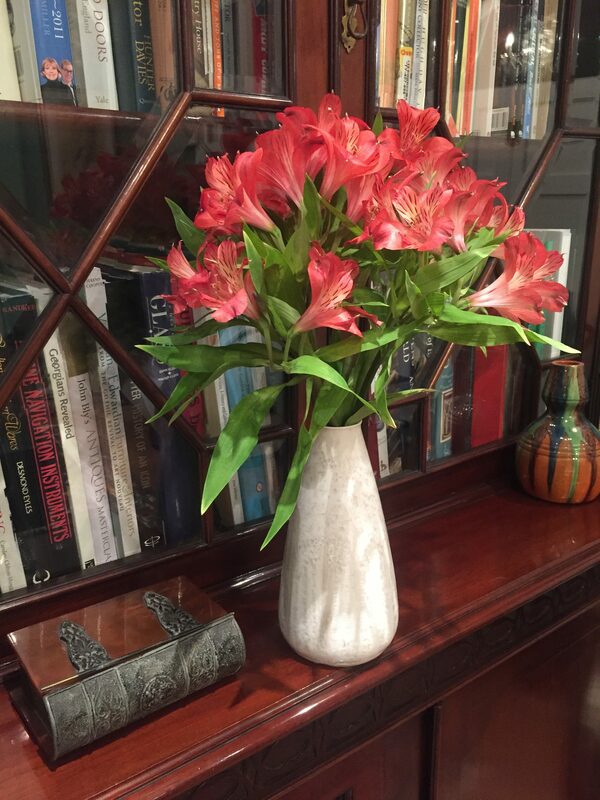 As for his vase, well, as you can see it’s being used for the same thing his daughter probably used it for when her father gave it to her. This entry was posted in Blog, Ceramics, Collecting, Fat Lava, Shopping. Bookmark the permalink.